Today’s design professionals are faced with challenges on all fronts. They need not only to keep in step with rapid technological changes and the current revolution in design and construction processes, but to lead the industry. This means actively seeking to innovate through design research, raising the bar in building performance and adopting advanced technologies in their practice. In a constant drive to improve design processes and services, how is it possible to implement innovations? And, moreover, to assimilate them in such a way that design, methods and technologies remain fully integrated? 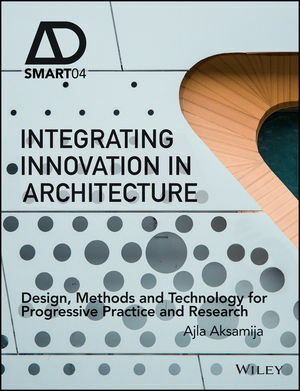 Focusing on innovations in architecture, this book covers new materials and design methods, advances in computational design practices, innovations in building technologies and construction techniques, and the integration of research with design. Moreover, it discusses strategies for integrating innovation into design practices, risks and economic impacts. Through numerous case studies, it illustrates how innovations have been implemented on actual architectural projects, and how design and technical innovations are used to improve building performance, as well as design practices in cutting-edge architectural and engineering firms. Projects of all scales and building types are discussed in the book, ranging from small-scale installations, academic and commercial buildings to large-scale mixed-use, healthcare, civic, academic, scientific research and sports facilities. Work from design firms around the globe and of various scales is discussed in the book, including for example Asymptote Architecture, cepezed, CO Architects, Consarc Architects, FAAB Architektura, Gerber Architekten, HOK, IDOM-ACXT, MAD Architects, Morphosis Architects, SDA | Synthesis Design + Architecture, Studiotrope, Perkins+Will, Richter Dahl Rocha & Associés, Snøhetta, Rob Ley Studio, Trahan Architects, UNStudio and Zaha Hadid Architects, among many others. Ajla Aksamija, PhD, LEED AP BD+C, CDT?is a faculty member at the Department of Architecture, University of Massachusetts Amherst. Her research expertise includes building science and sustainability, emerging technologies, high-performance buildings, digital design and modelling. Dr Aksamija leads the Building Technology Laboratory (Tech Lab) at Perkins+Will, one of the first practice-based research laboratories focusing on advanced building technologies. She is the author of?Sustainable Facades: Design Methods for High-Performance Building Envelopes? (Wiley, 2013), as well as numerous research publications.